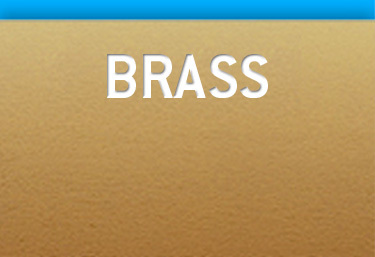 Brass is the ideal material for aesthetically challenging and high-quality applications. It is somewhat harder than pure copper and as a result is easy to process. Its good corrosion resistance makes it an ideal outdoor material. The main components of brass are copper and zinc. The colour depends on the zinc content: With a zinc content up to 20% brass has a brownish to brownish-reddish colour. If the percentage of zinc is over 36% the brass takes on a light yellow to almost pale yellow colour. The processing properties of brass are affected considerably by the content of lead or tin, the corrosion properties are influenced by nickel. Here the material develops a brownish patina. MEVACO perforated brass sheet and brass mesh have a zinc content of 37%. The material therefore has a light yellow colour. Perforated brass sheet and brass mesh are available from MEVACO in the thicknesses 0.8 to 3.0 mm in the standard formats 1000x2000 and 1250x2500 mm.